Monday 11th has seen the start of the roof replacement on the South aisle of the church. 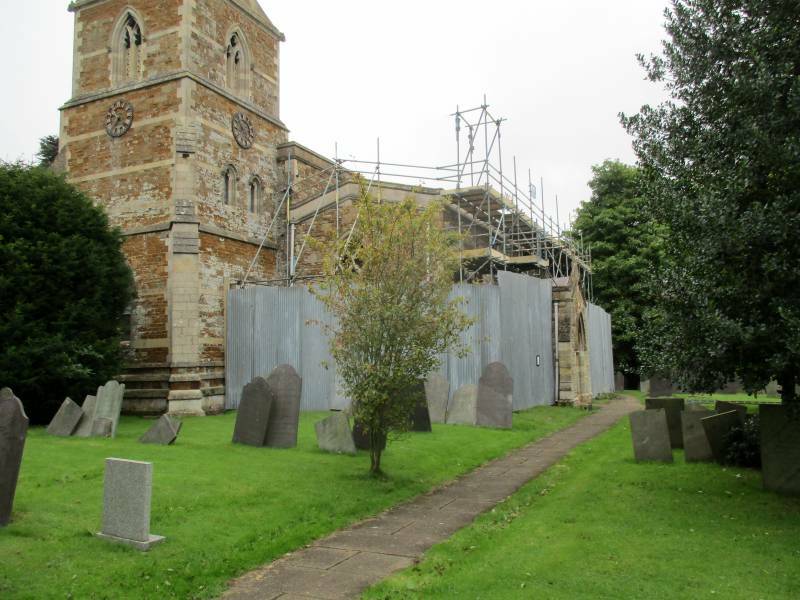 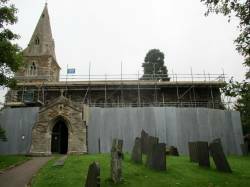 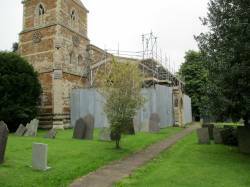 Work has started with the erection of scaffolding on the outside of the Church and the placing of a site hut in the Churchyard. 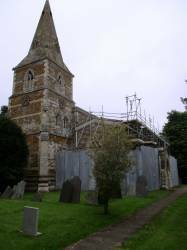 The inside of the Church should not be affected so all services will remain as planned. 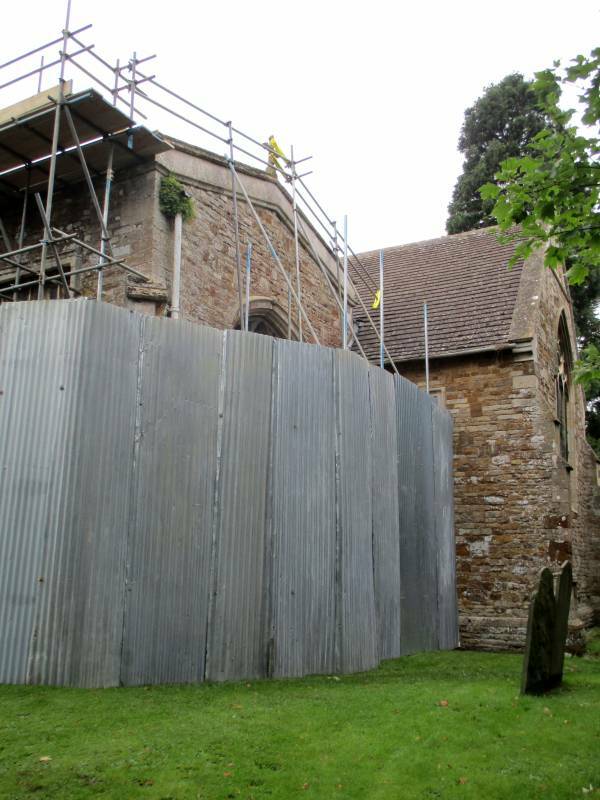 The recent spate of lead thefts means that we still need to be vigilant about unusual activity in or near the Church.